This past weekend, I witnessed a woman drop a carton of almonds on the floor at the grocery store. She was talking on the phone and decided against picking them up, allowing them to remain scattered around the check-out lanes. This is the attitude of the San Francisco Bay Area resident, the paragon of the modern Leftist, who’s obviously far too important to assume responsibility for herself, as that responsibility is reportedly reserved for those with “privilege,” whatever that means. It appears that we are witnessing a developing competition to the bottom, whereby every resident aspires to outdo the other in terms of struggle, excuses and handicap instead of responsibility, triumph and success. The glorification of struggle — even self-imposed struggle — has become some sort of twisted yellow badge of courage celebrated by the community empowered to assume that some other abstract body (of people or institutions) is responsible for their failings. Of course, their stations in life are manifestly nothing short of their daily attitudes and routines that have coalesced to produce every conceivable reason to fail, to render their failures a foregone conclusion on the basis of merely visualizing themselves this way. In many of life’s purported mysteries, we assume that there are poetic explanations behind them, but most phenomena are the consequence of extremely basic factors. 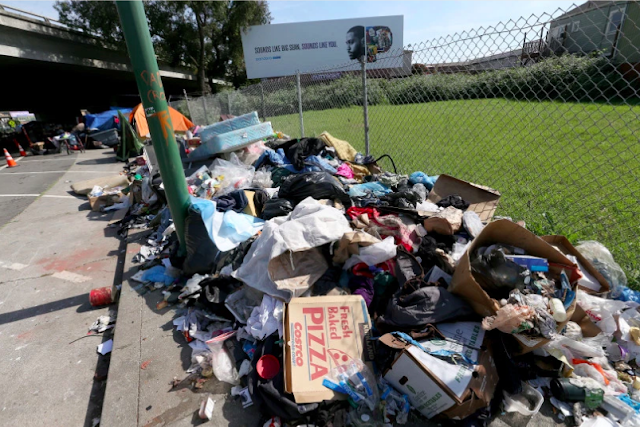 When faced with the problem of trash lining the streets of the East Bay, the problem of academic or professional underperformance, the high incidence of suicidality or incarceration, the dissolution of the family unit, the relinquishment of personal responsibility, it all appears to stem from the decline (or transformation) of household and community values. In the case of the San Francisco Bay Area, the results are unequivocally driven by the abolition of the concepts of community and personal responsibility in favor of transferred obligation and culpability to a faceless entity known principally as government.